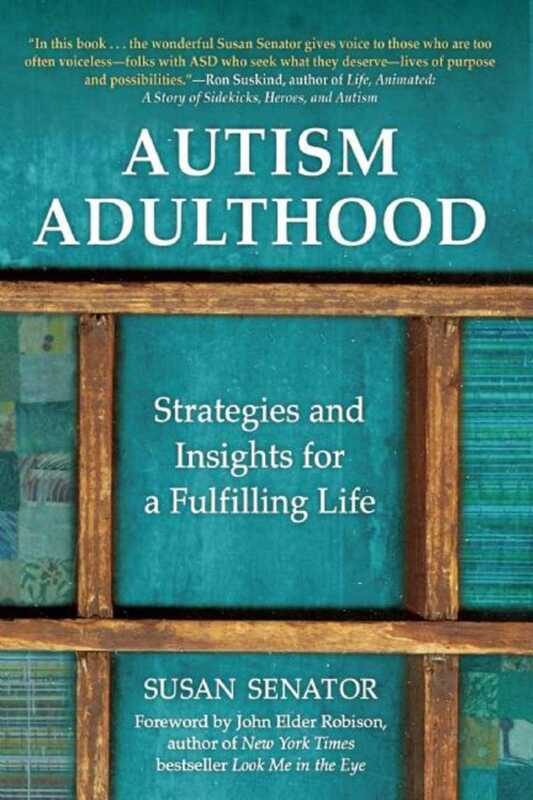 Autism Adulthood features thirty interviews with autistic adults, their parents, caregivers, researchers, and professionals. Each vignette reveals firsthand a family’s challenge, their circumstances, their thought processes, and their unique solutions, and plans of action. Sharing the wisdom that emerges from parents’ and self-advocates’ experiences, Senator adds her own observations and conclusions based on her long-term experience with autism. Told in Senator’s trademark warm, honest, and approachable style, Autism Adulthood paints a vivid and thought-provoking picture of many people grappling with grown-up, real-life autism. Senator’s is the only book of its kind, as real families share their stories and their creative solutions. "In this book, like her others, the wonderful Susan Senator gives voice to those who are too often voiceless -- folks with ASD who seek what they deserve -- lives of purpose and possibilities." -- Ron Suskind, Pulitzer Prize-winning journalist and bestselling author of Life Animated, A Story of Sidekicks, Heroes and Autism.